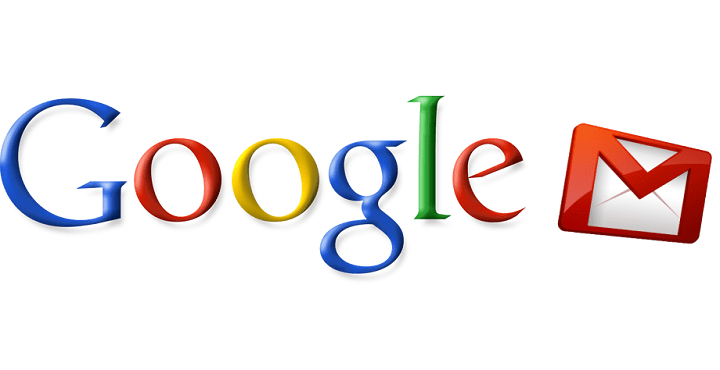 Are you wondering how to recover deleted archived Gmail messages? There is no need to worry, this post is for you. 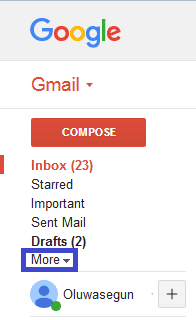 Archived Gmail are neither saved in the “Starred” folder nor seen in the “Inbox” folder in your Gmail account. However, you can access the archived messages in the “All Mail” folder on your account. Sometimes, Windows users delete archived emails accidentally or intentionally, but they may need to recover them. However, emails from the “Trash” folder may not be recovered if they are deleted manually or automatically after the 30 day waiting period. If you are yet to delete the archived Gmail from the “Trash” folder on your Gmail account, then this issue is solvable, but if not, you may have to contact the Gmail server administrator to help you recover your emails. As you already know, deleted messages from Gmail are moved to the “Trash” folder where they await 30-day probation before permanent removal. The “Trash” folder may be named as “Bin” or so on your Gmail depending on your language; however, the “Trash” folder functions as a 30 day “recycle bin” for your Gmail account. On the left side of the page, click “More” > “Trash”. In the Trash folder, check the box next to any messages you want to recover. Now, click on the “Move” icon, and then select “Inbox”. Select where you want to move the messages to (Archive or “Inbox). However, this method requires identifying the specific message which you deleted from the “Archive”; you should take your time in checking the box next the messages. Alternatively, you can search for the deleted message in the search bar and move it back to the “Inbox” or “Archived” folder. 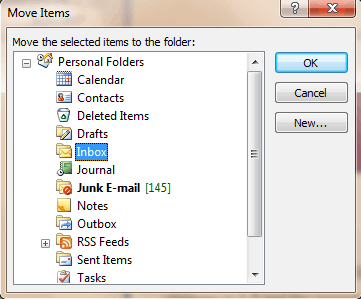 Another way you can recover deleted archived Gmail messages is to use Microsoft Outlook. Some company/organisation email uses Microsoft Exchange server for their corporate email address. Launch Microsoft Outlook and login to the email account. 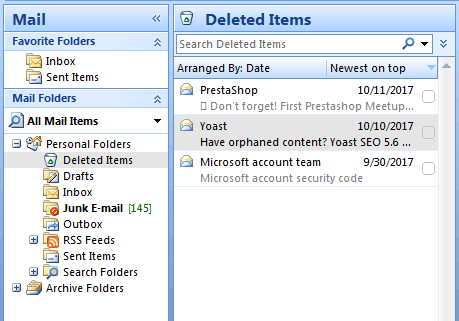 Click on the “Mail Folder” tab and then “Deleted Items”. 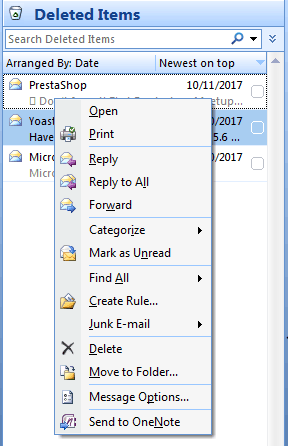 Now, right-click on the deleted archived message and select “Move to folder” option. Then, click on “Inbox to move the deleted message to the “Inbox” and wait for the process to be completed. Another option for retrieving the deleted archived message is to contact the Gmail Support Team. Sometimes, the “Trash” folder may have been cleared either accidentally or automatically; however, you can send a request to the Gmail Support Team to help you recover deleted messages in your Gmail account. 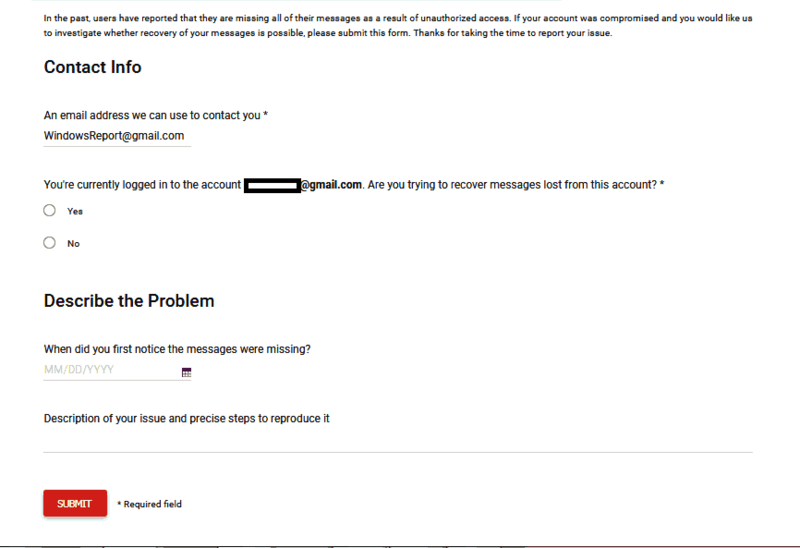 If you intend to reach out to Gmail Support Team, go to Gmail’s missing emails page. Fill out the form and enter essential details such as your email address where the deleted archived emails have been deleted from, whether you are currently logged in, and a short description of the problem (nature of the deleted email). After you have filled out the form, click on the “Submit” button; the Gmail Support Team will definitely recover the deleted email for you. In conclusion, you can use any of these methods to recover deleted archived Gmail messages on your Windows PC. We would like to hear from you most especially based on the addressed issue; you can comment below if you have any questions.